qoyllurit’i . the pilgrimage . Peregrination is to travel on foot with a purpose. 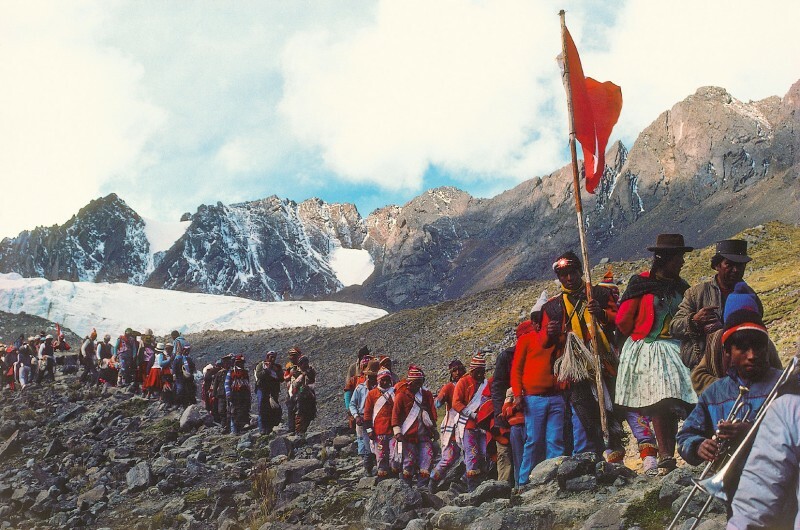 At the base of the Colquepunkpo glacier at 16,000ft, thousands of Quechuas gather to offer their prayers, intentions and agricultural harvest in this most ancient of rituals of gratitude and purification; which are performed in exactly the same way today as the Quechuas have done for centuries. The festivities take place over 4 days, a huge gathering of pilgrims moved by faith; they endure the steep climb of the glacier singing, dancing and playing music for many hours day and night to show their willingness and desire that their prayers to the Lord of the star and the snow will be heard. 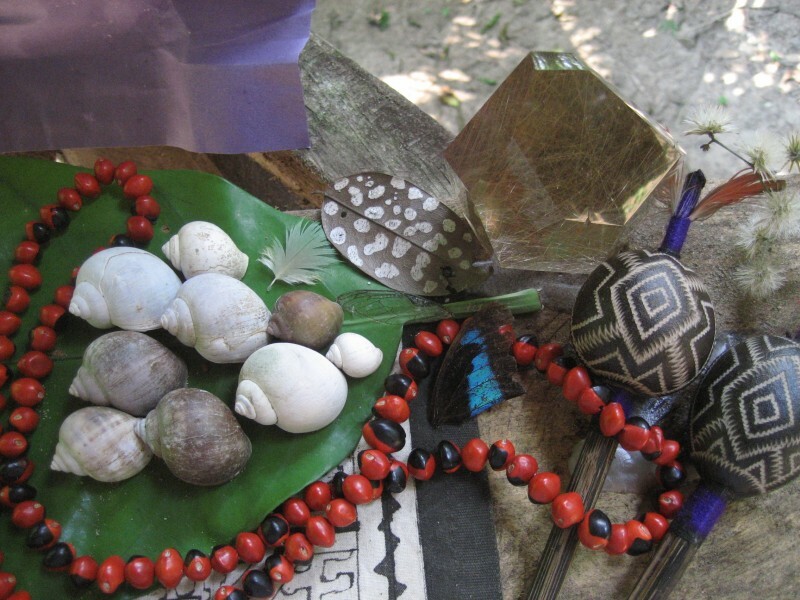 This is truly the experience of a lifetime, a rare opportunity to participate in what has long been lacking from our western culture, the veneration of the magical and mystical connection between us and Mother Nature, Pacha Mama at its source. amazon . matsigenkas and huachipaire . Join us for this once in a lifetime adventure to discover the hidden world of two Amazonian tribes, the Matsigenkas and Huachipaire. Our journey begins in Cusco as we travel from the high Andes into the sub-tropical SE Amazonian rainforest. There we will meet these two tribes that have been living in this area for thousands of years — hunting, gathering and healing by utilizing all of the elements that surround them. These Amazonian people had a very close relationship with the Inkas and through their Arawak language they pass along some of their sacred knowledge and secrets. We will travel for 10 days by canoes, sleep in Tambos (thatch roof huts) and immerse into ourselves as we encounter the powerful “Grandmother” vine. We will participate in 4 “grandmother” ceremonies led by the Sharepigari (Shaman) from these indigenous communities. la magia de los andes . The Andes form the backbone of South America. Irradiating from Cuzco, the symbolic navel of the indigenous world and home to an extraordinary empire and civilization, the Inkas, who built stone temples, roads, palaces, and forts. Come and discover the Magic of the Andes as we travel through time and space, learning about Andean Cosmology and the Andean way of life from a most amazing teacher, the San Pedro cactus. The Apus (mountains) and Mama Coca will also be guiding us in the mystical land of the Inkas. We will go from Cusco to the Sacred Valley onwards to Machu Picchu, we will go hiking to many sacred sites (off the tourist map) and finally to the birth place of the Andean culture, Lake Titicaca. Come explore the volcanoes, deep valleys, and upland plains as they reveal their mystery and their power. plant teacher dieta. don guillermo ojanama. This is a journey into the Amazon Rainforest to work with Maestro Curandero Don Guillermo Ojanama (from the ‘Versos Maestros/Ikaros’ CD). This plant teacher dieta (diet) will include learning and working with the healing and spiritual traditions of the Peruvian Amazon through “Grandmother” ceremonies, traditional Amazonian plant medicines and intense physical cleansing. For those interested in deepening their connection with the plant spirit world, we specialize in small intimate “dietas”. we only work with the most experienced and respected traditional amazonian curanderos, ayahuasqueros, vegetalistas and paleros.